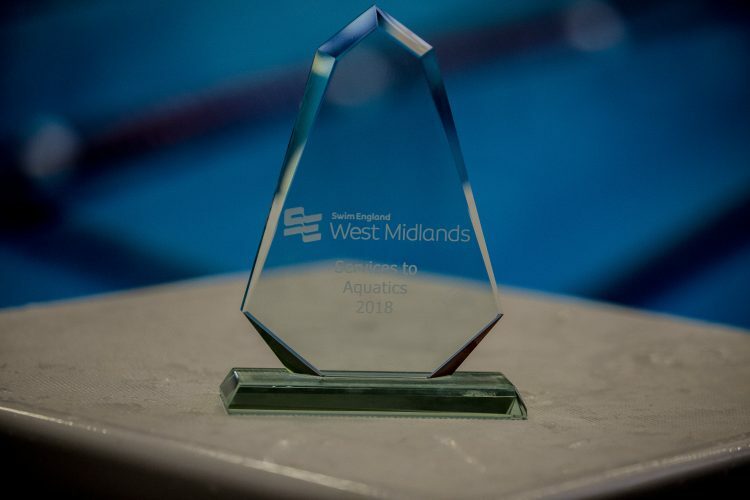 Big Congratulations must go to Judy Tullett, who received the West Midlands Swim England Services to Aquatics award at Sunday Morning’s Birmingham Water Festival. The Birmingham SAG is very proud of Judy’s achievement, and Judy will now go on to the National Award Ceremony in November. Good luck in November Judy! 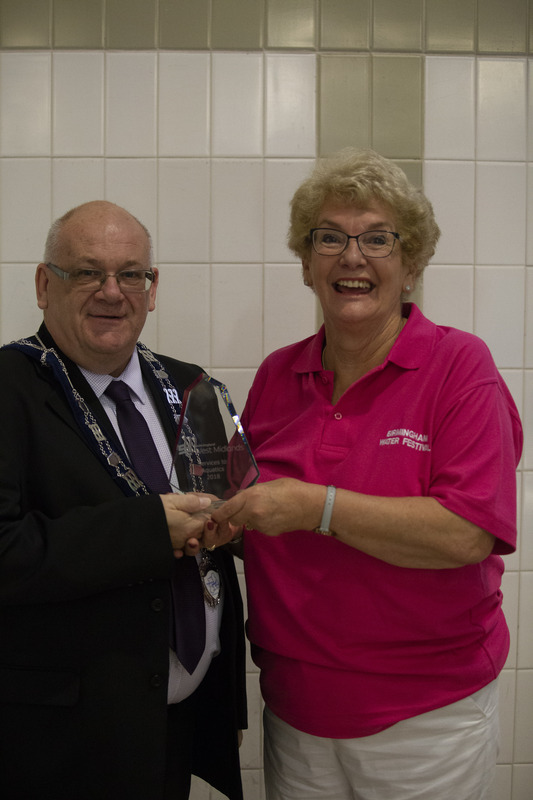 Judy receiving her award from the West Midlands President Stuart Highfield.